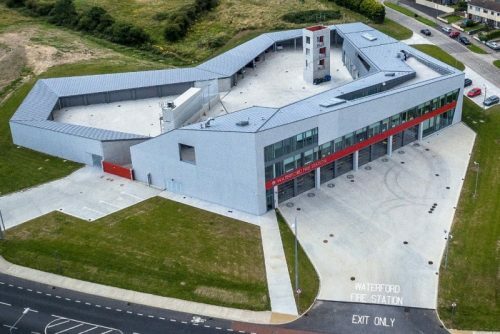 Waterford Fire Station was awarded a Merit at the Structural Steel Design Awards held in London on October 4th 2017. Organised by the British Constructional Steelwork Association and Steel for Life, the Structural Steel Design Awards recognise the high standards of structural and architectural design attainable in the use of steel and its potential in terms of efficiency, cost effectiveness, aesthetics and innovation. A total of 17 projects were shortlisted, with Waterford Fire Station being the only shortlisted project from Ireland.